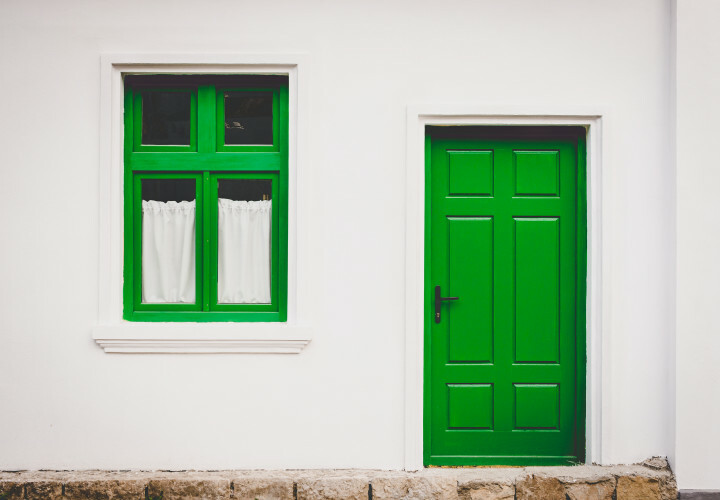 Home Property investing Brexit Roundup: What are the benefits for property investors? No matter which side of the debate you were on, Brexit has passed and we all be Brexit-ing from the EU. Naturally, this caused panic amongst the financial institutions and risk-hating stock market aficionados. One effect of the referendum is that we cannot have another referendum for 25 years, so get strapped in readers, it’s going to be a bumpy ride! Thankfully, we’ve assembled four of the UK’s top property experts and wealth creators to walk us through how they’re going to brave the next quarter-century. Ryan Windsor has been in the property game for the better part of this decade and is currently expanding his investment sphere to intellectual (as well as physical) property. Ben Chai, part-time Latin dancer, part-time Radio DJ, and full-time property guru also weighs in. Founder of the p2p loan platform CrowdProperty and creator of the Property Mastermind program Simon Zutchi shares his €0.02. And rounding out the table we have Mark Dunsmore, MD of one of the UK’s leading property sourcing academy’s. FYTFF: What are the implications of Brexit on the economy both short and long term? RW: Even before the UK voted to Leave the EU, there was uncertainty and major corporations were planning for the worst. Now we have voted, the UK is going through a period of uncertainty and this will, in my opinion, only get worst. Short term business, property, and stocks will be unpredictable and we will see massive fluctuations in those markets creating a lot of winners and loser from an investment point of view. Long term, I feel the UK’s economy will be a lot weaker. SZ: No one really knows what the full impact of this decision will be. Apart from the predicted immediate impact this had on the strength of the pound and the stock market, we may not see any significant changes for a few years whilst the details are worked out. BC: Short term the UK economy will be in uncertainty. Uncertainty means opportunity. Long term, the UK economy will stabilise and it will be business as usual. It should be noted that there were already signs that the UK economy was, comparatively speaking, in decline. Pre-Brexit, the pound had been (week on week) sliding against the dollar. 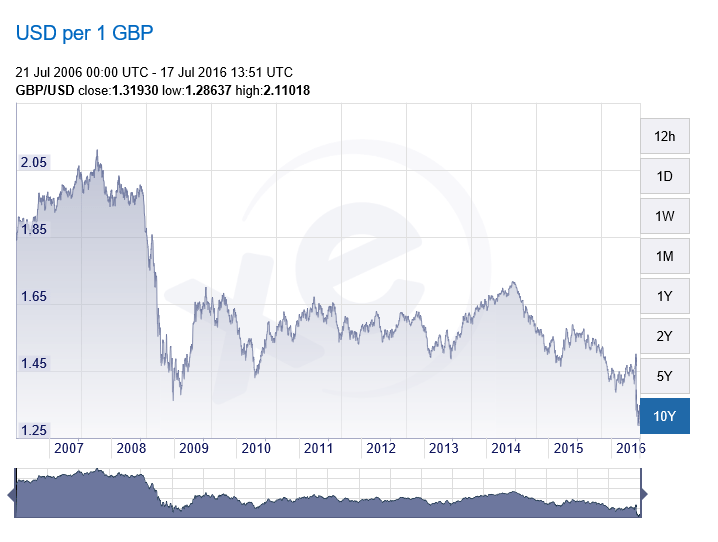 Below is the 10-year chart of the pound versus the dollar. Having said that, since the appointment of Theresa May as UK’s new prime minister, there have been reversals in both the currency and UK stock market, so one can only wonder if Brexit merely accelerated what was already happening to the economy. 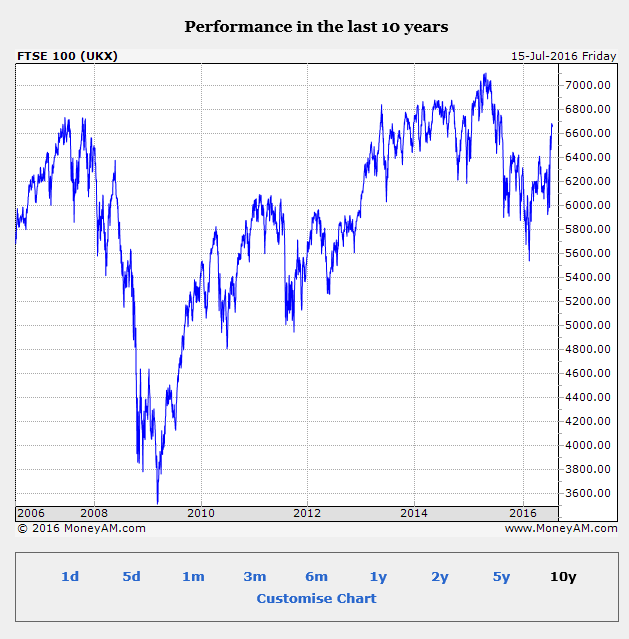 10 year UK top 100 companies shows that the stock market was in decline since 2015. However, a major rally occurred since the appointment of Theresa May as UK prime minister. MD: In the property world, there have always been challenges and it has been our job to clean up people’s worries. Whether we voted to stay or leave, it wouldn’t really matter that much, because those in the property industry would always have to adapt. FYTFF: What are the implications of Brexit on the property market? RW: Currently, because of the fall of the stock market, housebuilders have lost a lot of value. House prices are coming down due to the reduced demand and I believe banks will start to make it harder to get mortgages to reduce the risk of negative equity. This, for the unprofessional speculative investor, is bad news. For those of us that take a more professional approach, it could be a great opportunity to snap up some bargains. Make sure you stress test the investment, and do your due diligence once, twice and three times as you need to make sure you’ll be able to execute your plans. Also, make sure you have multiple exits. For example, if you can’t rent the property out, ensure you’ll be able to sell it off. Normally, in markets like this rental demand increases and as a result rental prices go up increasing the landlord’s margins. SZ: You could argue that the UK has suddenly become a more attractive place for foreign investors to purchase because they will get more for their money. However, it is important to remember a fundamental of the UK property market; there is a shortage of supply. This is because we live on an island, with a limited amount of accommodation, and an increasing population. We simply do not have enough accommodation currently, or in the pipeline, to satisfy demand growth. So, over the long term values and rent are most likely to continue to rise. Even if we immediately shut the borders and did not let anyone else into the UK, the number of households is still predicted to grow due to the increasing birth rate, longer life expectancy, and smaller household sizes. It is unlikely that the EU workers who are living and renting in the UK will suddenly leave because they are here for a reason. In terms of property prices, I am sure that there will be some sellers who will panic as they may believe the predictions by Zoopla (before the referendum) that property process would drop by 20% if we exit the EU. This means that due to the current uncertainty, I expect there could be a real opportunity to pick up property at great prices over the next few months. It could be a good time to buy as long as the property stack up, makes good cash flow now and you are prepared to hold for the long term. If there is a short-term dip in prices (which I doubt) then flipping property may not be such a good strategy to follow. BC: Brexit may slightly accelerate the property price fall in the UK which many have predicted would happen in the next few years. This property price fall will make property investment more attractive to cash buyers. As someone who has always invested in property for passive income, nothing has changed for me. There is still a largely unfilled demand for property in the right locations. Every ten years property prices go down just as they go up. Having lived through four property crashes, the fundamentals still remain unchanged. From a commercial property perspective, we may see fewer companies having a presence in the UK, causing a dip in commercial property, however, that will be short-lived bearing in mind that the UK is currently one of the top 10 economies worldwide. In addition, many areas of London will not allow commercial to residential conversions. Should a situation of empty office blocks continue for several years, this rule may be rescinded. Finally, we had already seen less foreign investment in property due to the strength of the pound. At present, Brexit has given foreign investors an early Christmas present, assuming the political stability brought in by our new prime minister doesn’t substantially strengthen the pound. MD: Those in property will continue to thrive, buy and hold remains a good strategy. We’ll also see an increase in more creative forms of property investment. Expect a surge in rent-to-rent strategies and lease options to mitigate the perceived higher risk. FYTFF: What do you think the silver lining is? RW: The silver lining (if the economy takes off again) would be more control but that level of control depends on or future relationship with the EU. Currently, the plan is still to be involved in the EU but we won’t have a vote on their plans that still could affect us. For investors who have access to cash, it’s a great time. As Warren Buffett once said; “Be fearful when others are greedy and greedy when others are fearful” and I see a lot of people becoming more fearful with the uncertainty. SZ: The other major impact on the property market is the potential effect of rising interest rates. It was widely suggested that a vote to leave the EU would be bad for the economy. Whether this is correct or not, the general consensus is that interest rates are most likely to remain low. With the Bank of England Base rate at the all-time low of 0.5 per cent, normal people with savings are becoming increasingly frustrated by the poor return on their money. The positive side to this Brexit news is that problems and uncertainty in the market create opportunities for those of us who are educated and ready to take action. I look forward to seeing what happens in the UK property market over the next few years. Exciting times. BC: Using the phrase “silver lining” makes me think that you feel Brexit is a disaster. The truth is nobody knows whether Brexit will be good for the economy or not. What we do know is that many savvy people will make a significant amount from the uncertainty and chaos as we have already seen in the currency and stock markets. Businesses will have less regulation from the EU to deal with in the long term which will make them nimbler and more competitive. MD: The silver lining in all this is the perceived higher risk from investors panic selling their properties. As the market floods with investors worried about maximising their ROI smart sourcers can swoop in a find some great BMV (below market value) deals. FYTFF: What strategy(ies) are you going to adopt? RW: I’ve already started to tighten my investments up, in regards to monitoring and reviewing the portfolio’s performance against certain KPIs. I’ll be working very closely with my Property Tax Accountant and I have developed a strategy that will enable me to continue investing even through the Governments tax raid and through the Brexit. 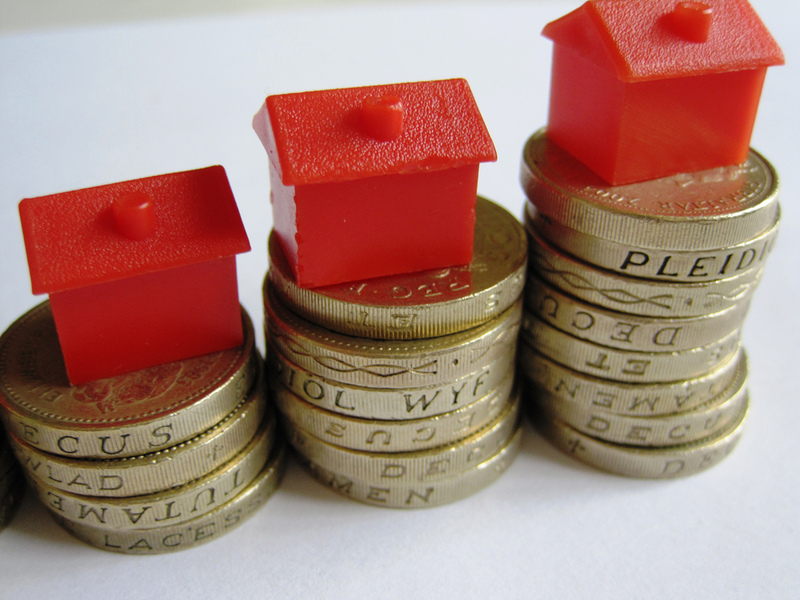 It terms of specifics; I will be looking to invest in higher yielding properties such as HMOs. My minimum ROI is 40 per cent and also I will be looking at more commercial development deals with implementing lease options to give me some time to get planning permission before I either develop or sell the land (and the planning) to a developer. SZ: One final point in this long email, is an example of how certain market condition can create an opportunity for many people to benefit. The low-interest rates and difficulty of getting finance on property developments were the driving forces behind me setting up the property specialist, peer to peer lending platform, CrowdProperty. I wanted to help lenders by giving them the opportunity to benefit from a higher return on their money, backed by the security of a legal first charge on the property, on projects that have a predictable and relatively short period of capital commitment and lend from £500. The other reason for setting up the platform was to help the people who have done our training and gone on to become professional property businesses to finance their profitable property projects which banks are reluctant to do at the moment. BC: As a passive income investor that has lived under four property crashes – it is business as usual. I buy to rent out. As long as the locations are correct, the UK still suffers from a massive shortage in housing. If you can buy a property and rent it out with finance left over after mortgage and maintenance expenses, then over time you will still be ahead of the game and be able to grow your financial assets and reserves. Brexit has enabled the UK to examine its already declining currency and stock market without the impact of being part of the EU. Should the situation get better, the world will know that the EU had a negative impact on the UK PLC. Should the situation get worse and remain worse, then the world and the UK will know that they were better being part of the EU. MD: Buy and hold was, will be, and remains a good strategy. Historically, although property takes knocks every now and then, it always comes back. I will, and encourage others, to reassure investors that the property market will prevail and that we know how to adapt. People will always need property. Huge thanks to our guests for their insights. Head over to our 1,000+ member strong Financial Freedom Coaching group for access to some of the greatest minds and entrepreneurs in the UK. Image Credits: Ken Teegardin, XE, MoneyAM, Jess Chai, Images Money.